Most people in the developing world who have asthma, cystic fibrosis, or other chronic lung diseases have no way to measure how well their lungs are functioning outside of a clinic or doctor visit. 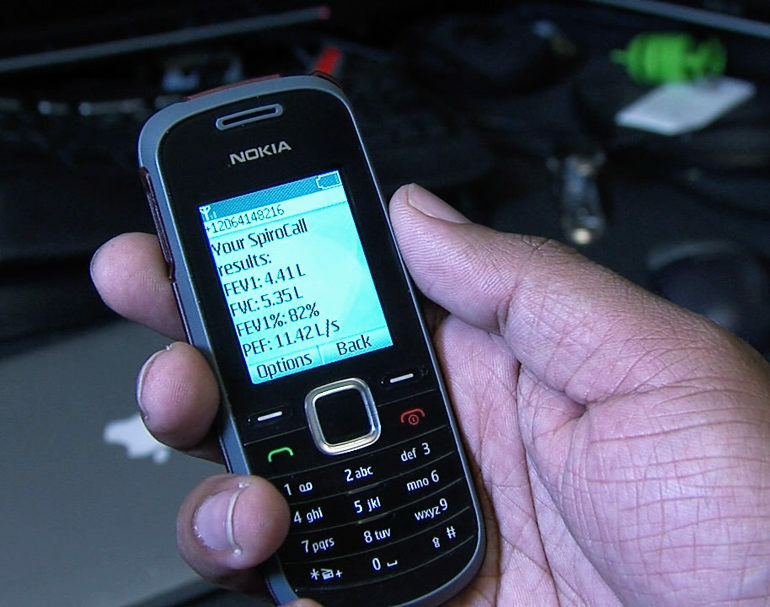 With that in mind, researchers have developed SpiroCall, a new health-sensing tool that can accurately measure lung function over a simple phone call. Testing shows that that SpiroCall’s results are within 6.2 percent of results from clinical spirometers used in hospitals and doctor’s offices, meaning it meets the medical community’s standards for accuracy. The researchers will present a paper on the device at the Association for Computing Machinery’s CHI 2016 conference. In 2012, researchers from the UbiComp Lab introduced SpiroSmart—which lets people monitor their lung function by blowing into their smartphones. Over the last four years, researchers have collected data from more than 4,000 patients who have visited clinics in Seattle and Tacoma as well as in India and Bangladesh, where clinicians have measured lung function using both SpiroSmart and a commercial spirometer. That comparative data has improved the performance of the machine learning algorithms and laid the groundwork for team’s current FDA clearance process. 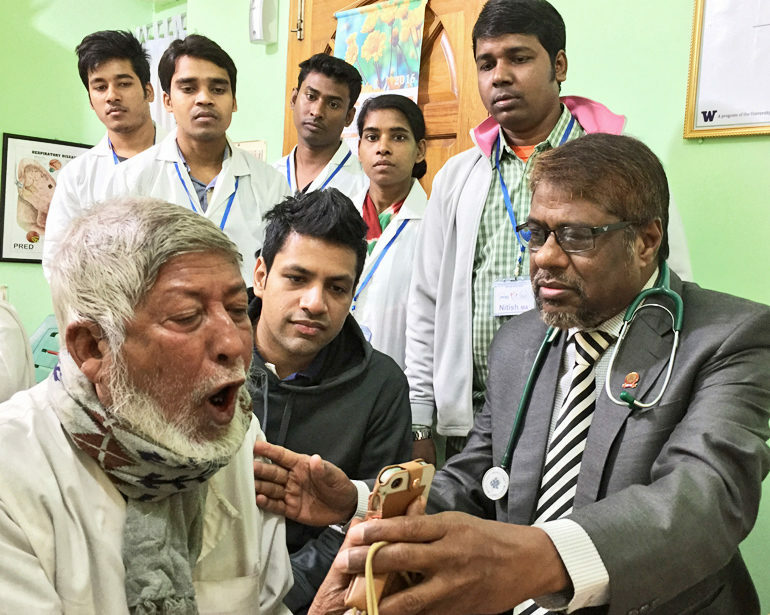 In surveying patients from India and Bangladesh, though, the team realized that a significant percentage did not own smartphones and would be unable to use SpiroSmart in their own homes—which was a key goal of the project. SpiroCall transmits the collected audio using a standard phone channel—as opposed to a sound file that is transferred by a smartphone app over the internet. The team combined multiple regression algorithms to provide reliable lung function estimates despite the degraded audio quality. The researchers also developed a 3D printed whistle that can be used in conjunction with SpiroCall that changes pitch when the patient exhales. The whistle is designed to address training challenges by enabling patients to hear what a “good” test sounds like. It also improved test performance for patients who are very ill and whose vocal cords are not able produce enough sound for the phone’s microphone to pick up. The Life Sciences Discovery Fund, the Wallace H. Coulter Foundation, and the University of Washington funded the work.